I already mentioned the Foster Brook and State Line Shay in a previous post. 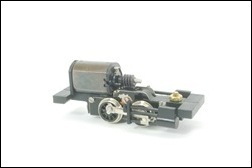 The little locomotive with Shop Number 3118, was built in May 1920 and is the only 2 foot Shay that’s still operational. It’s now owned by Doug Kuntz, who now operates it on his own private railway. The movie below, which was shot on the 9th of October 2011, has recently been uploaded to Youtube. Enjoy! 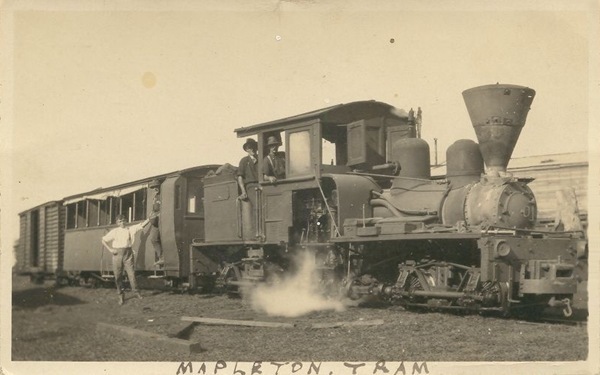 Just an old postcard of the Mapleton Tramway. It’s hard to estimate the exact location, but looks like it is the regular “up” tram preparing to leave Nambour. Visible behind “Dulong” are the passenger & brake van and the covered wagon. The guard is just visible in his compartment of he brake van. It ran every day except Sunday … it departed just after lunch and took two and a half hours to get from Nambour up to Mapleton. 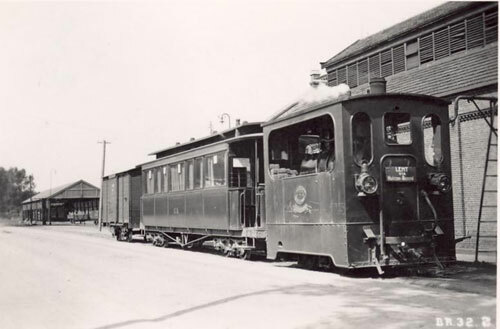 In it’s up service, it carried passengers, supplies, goods, mail and sawn timber. 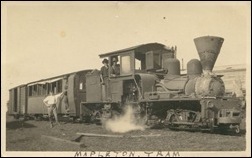 The tram was stabled up in Mapleton overnight and in the morning it would come down to Nambour with return passengers, mail, logs, sugar cane and if it was in season, oranges. I had to dig around in my memory a bit …but I believe it was at the beginning of 2010, that I ordered an N-drive chassis from N-Drive Productions. Although Neville Kent and his small company fell into a quite some hardship in 2010 and 2011, he kept his promise and delivered the 12 mm short wheelbase chassis this week, together with one of his new motor bogies. They’re great little runners and will act as the base for a couple of future projects. 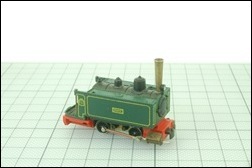 The 12 mm short wheelbase chassis will power a 0-4-2t Fowler made by Chivers Finelines. Although Roger Chivers stopped producing the kits himself, they are now being made by by Five79 (owned by his son Matthew) and are available via Parkside Dundas. The motor bogie will power something completely different … a Backer & Rueb steam tram … which has nothing to do with my Queensland tramway. I just like those little buggers. I always wondered if it would be possible to add sound to a small HOn30 layout. Wouldn’t it be great to hear the puffing sound of a small 13 ton Shay passing by? Unfortunately it will be hard to fit a speaker in an HOn30 locomotive. So, what options are there? 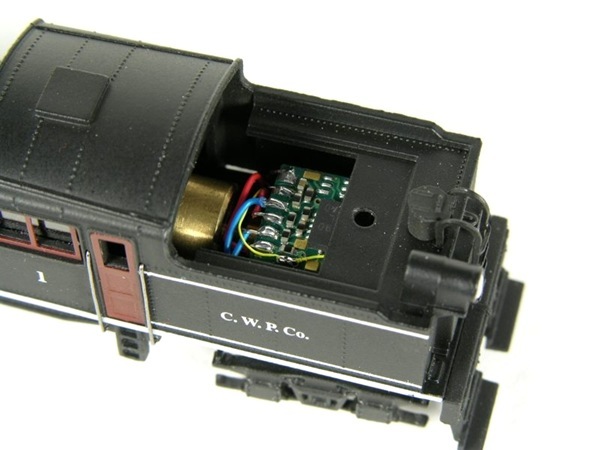 First of all, I should go digital … I know, it sounds a bit scary, as it means that I will have to fit DCC decoders in my models. With small decoders like the Digitrax DZ125 or the CT-Elektronik DCX74z, it should be possible and as you can see from the image above, the DZ 125 just fits in an N-scale Shay … so should definitely fit in mine. Furthermore, I will have to find some kind of “under-the-table” digital sound system, that will be able to handle the sound of my locomotives.